2/8/2019 Show Direct Link - Click Here. 2/1/2019 Show Direct Link - Click Here. 1/26/2019 Show Direct Link - Click Here. 1/19/2019 Show Direct Link - Click Here. 9/27/2018 Show Direct Link - Click Here. 9/22/2018 Show Direct Link - Click Here. 9/15/2018 Show Direct Link - Click Here. 9/8/2018 Show Direct Link - Click Here. 9/1/2018 Show Direct Link - Click Here. 8/18/2018 Show Direct Link - Click Here. 8/11/2018 Show Direct Link - Click Here. 8/3/2018 Show Direct Link - Click Here. 7/28/2018 Show Direct Link - Click Here. 7/21/2018 Show Direct Link - Click Here. 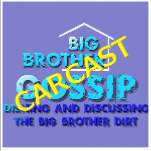 The Big Brother Gossip Podcast is a once a week podcast where Scott, Colette and Mike, long time Big Brother fans, discuss the current USA season. Listeners gain a detailed insight into the inner workings of the CBS show and hear audio clips that never make the TV show. This site provides links to the podcast episodes. 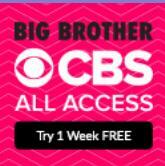 More information can be found at BigBrotherGossip.com and The Bitchy Big Brother Blog. Click to go to our page on iTunes. Will be back in June for Big Brother 21!! 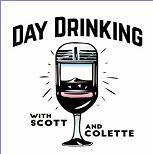 Don't forget to check out Day Drinking which is available 52 weeks a year!! Just want the MP3 of the shows? 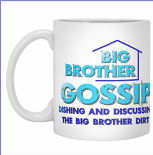 Click here to sign up to be a Patron of the Big Brother Gossip Show.